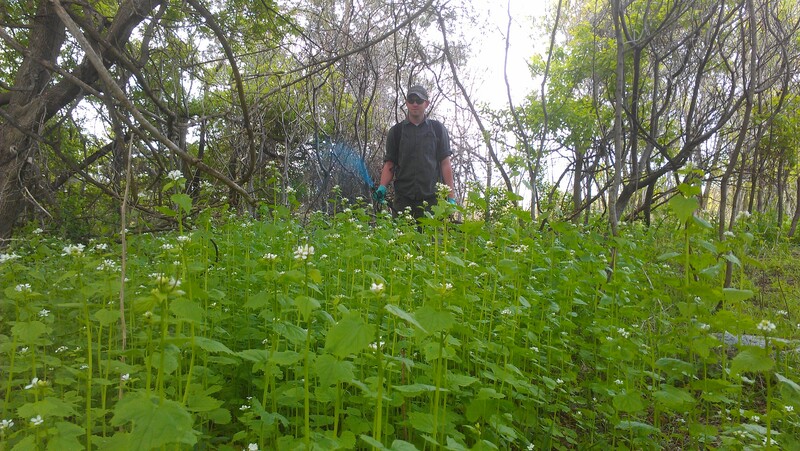 4 Control Inc. offers control of invasive and unwanted plant species by use of selective herbicides for State and Federal agencies and private land owners. Millions of acres of land every year are being overrun by invasives. 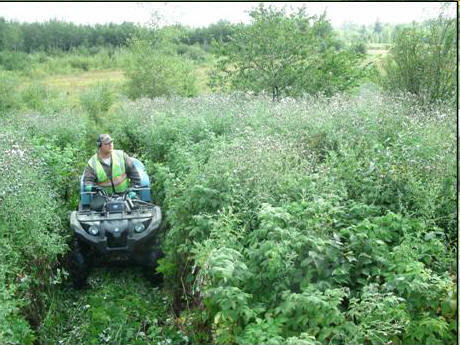 If these invasive plants are left uncontrolled, they will start to crowd out native and desireable species. They can also effect our wildlife and water resource habitats, damage our recreation use in forest parks and wildlife areas. This can also decrease the property values of land. Herbicides control invasives so that desirable plants can be reestablished. Other methods, such as mowing and burning, only temperarily remove the problem and in some cases increase the problem and create new invaders. These mechanical methods pose an extra risk of spreading see to unaffected areas. When working out in the field whether it be on public or private land we offer customers GPS mapping of the areas we have treated. This allows us and customers to keep detailed records of the specific locations we have treated.